Spotify is adding some bells and whistles to its free app. On Tuesday, the music streaming platform announced it has redesigned its mobile app for non-paying Spotify users. It now features new tools previously only available to premium subscribers, such as new music discovery, personalization and low data mode. The move is part of an effort to attract more paying subscribers. Spotify (SPOT) said 60% of premium users began on the free service. 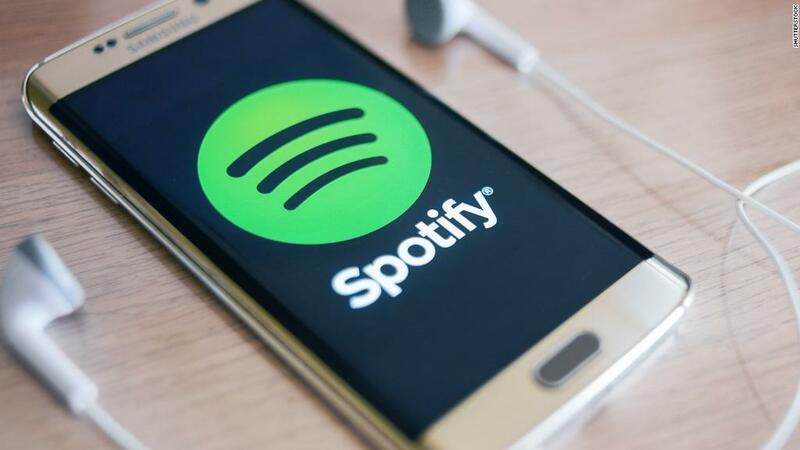 "We're doing this because we know it will help us drive growth," Gustav Söderström, Spotify's chief research and development officer, said at an event in New York City. Users who don't pay $9.99 per month for the premium tier can now access 15 playlists on the app, such as Daily Mix and Discover Weekly. Daily Mix learns what types of music you listen to and suggest songs you may like. The popular Discover Weekly playlist is aimed at helping user's find new music. Another new feature cuts down on data consumption by 75%. The premium app has long had an offline mode: Paying users can listen to pre-download playlists or songs without racking up cell phone bills. There are 90 million users on its free tier, and 71 million paying subscribers. The company expects its overall audience could top 200 million monthly users by the end of this year. The update marks the company's first major news announcement since it went public early this month. It will roll out globally to users in the next few weeks.